The Nokia 9 PureView has long been rumored and it’s still not official, let alone available, but that hasn’t stopped a rumor of its successor from emerging. According to @LeaksNokia, the phone is “tentatively” planned for an August launch and will come with a Snapdragon 855 chipset, a penta-lens camera, a 2K edge-to-edge display with a pinhole camera, and 5G support. Now, the Nokia 9 PureView itself is rumored to have a penta-lens camera, but its successor will apparently have a bigger sensor and better imaging quality, according to a follow-up tweet from the same source. They also add in another tweet that while August is the desired launch month, it might land in September. We would however take all of this with a huge side of salt, for various reasons, the most notable one being that this is the first leak from this source, so they have no track record. On top of that, rumors this far out are always worth taking with a dose of skepticism, and given how long we’ve been waiting for the Nokia 9 PureView itself it seems odd that a successor would land well under a year later. That said, no aspect of the specs seems unbelievable, and we could see HMD Global (the company behind recent Nokia phones) wanting to launch a 5G handset in late 2019, as there are likely to be a number of 5G phones by then and the beginnings of 5G networks. Of course, that 5G phone needn’t be a Nokia 9 successor, but it would make sense for it to be a high-end handset. So while we remain very skeptical of this leak, we wouldn’t rule it out completely. 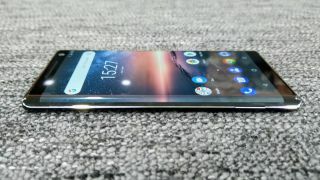 For now though, we’re more interested in seeing the far more real Nokia 9 PureView, which may well land at MWC 2019 in late February.